Are you a Pittsburgh native? If not, what brought you to the Pittsburgh area? Yes! Newly returned home to help open Bar Method Wexford and launch my health coaching business. Describe your fantasy movement-focused vacation…cost is not an object…where do you go and what do you do? Bar Method is #1 movement and its great online option is a there, but unless our annual Team Bar Method Tampa vacay is happening, then I’d opt for somewhere I can run & hike. Mediterranean Coast is the easy choice for my list! What is your go-to weekday breakfast? Your weekend breakfast? I love to cook!! I’m a big fan of eggs w/ any veggies I have on hand. Occasionally I’ll switch things up for a juice or smoothie from Clean Juice Wexford when I have an early day. What is your favorite thing to eat in Pittsburgh? Note: it does not need to be healthy. Homemade pierogis! Has always been the one guilty pleasure I allow myself to eat! But I’ll never let my family share their secret recipe! What is the most unusual and/or challenging movement activity you’ve done? Would you do it again? I’d love to find something unusual!! Challenging would probably be the Chicago Marathon, most rewarding movement activity and I did it 3 years in a row, as a non-runner prior to. I enjoy finding activities and hobbies I haven’t tried, but are more on the active side, so I’m hoping the “most unusual” answer is still to come for me! What movement activity/event are you looking forward to in the next year? Pittsburgh Marathon – first time in my home city! Would you rather go scuba diving or skydiving? Scuba Diving – love the ocean, even though the unknown creatures scare me! What is your favorite recovery or self-care practice? Bath! Some scented bath or Epsom salts, classical music and time to just think about nothing. What is the one place visitors to Pittsburgh “must” see? I almost want to see some answers here! 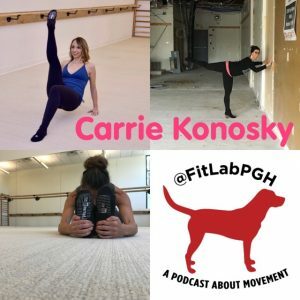 Returning home after 18 years, I’m excited to get back to Kennywood, PNC Park and Heinz field, & of course I hope people now will stop by for a class at the Bar Method Wexford! My family also has a small vineyard and winery in Greene County that I’d love to show all my new friends! New Friends – tell me what I need to add to my list of places first year back home!